President Donald Trump mourned the dead and forcefully condemned anti-Semitism after a mass shooting at a Pittsburgh synagogue that left 11 dead. 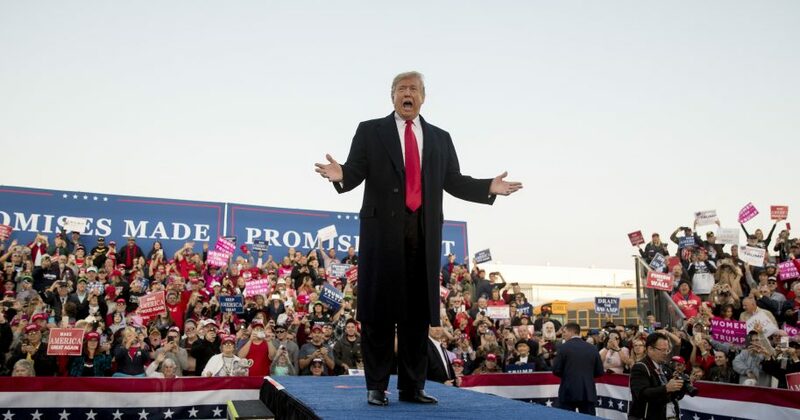 Nine days from elections that will determine the control of Congress, Trump stuck to his plans to appear at an agricultural convention and a political rally Saturday. Throughout the day, he expressed sorrow, called for justice and bemoaned hate, getting regular updates on the shooting. The slaughter at Sabbath services followed a tense week dominated by a mail bomb plot with apparent political motivations and served as another toxic reminder of a divided nation. Do you agree with President Trump's call for unity? Trump offered an unsparing denunciation of anti-Semitism, which he said was the motive behind the attack.